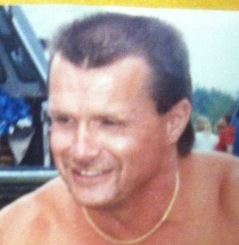 OSWEGO, NY – Thomas W. Dunsmore, 62, a resident of West Bridge Street in Oswego, passed away Saturday May 3, 2014, at his home. Mr. Dunsmore was born in Oswego, the son of the late George and Catherine (Connolly) Dunsmore. He was a life resident. Prior to his retirement, he was employed by the city of Oswego DPW. He was an enthusiastic NASCAR fan. He is survived by four daughters, Jennifer Dunsmore (Russell) Bartlett of Mexico, Crystal Dunsmore (Kipp) Simko of Mexico, Jamie Dunsmore (Michael) Sweatt of South Carolina and Tara (Christopher Herse) Dunsmore of Phoenix; a son, Brian Dunsmore of Oswego; a brother, David (Renate) Dunsmore of Syracuse; a sister, Diane (Richard) Rollin of Oswego; two stepdaughters, Nicole Perchway of Palermo and Kelley Perchway of Oswego; five granddaughters, Shana, Eryka, Tiffany, Hailey and Keyara; seven grandsons, Justin, Isaiah, Joshua, Ethan, Jordan, Jared and Jayden; and his girlfriend, Cheryl Baker of Oswego. Arrangements are in care of the Dain-Cullinan Funeral Home, Oswego. TOMMY, TOMMY,TOMMY where have you gone?